A Richmond native, Erin has always called Richmond home. After graduating from George Mason University she immediately knew she wanted to return. Erin's love and knowledge of the Richmond and surrounding areas along with a team of financial experts, supportive escrow, title companies and attorneys by her side, Erin can help you create a home in Richmond as well. Whether you are a first time home buyer, an experienced seller, or an investor, this site will provide useful information to help you make an informed decision in today's real estate market. Please feel free to browse through this site to explore the Metropolitan Richmond area, including the City of Richmond, and the surrounding areas of Henrico, Chesterfield, Goochland and Hanover. This site includes extensive community information, consumer links, school information, answers to commonly asked real estate questions and gives you direct access to the latest properties for sale! If you currently own a property and are thinking of placing it on the market, this site contains information about preparing your home for sale, selecting the right agent, pricing your home appropriately, marketing it effectively, negotiating the best offer and seeing the transaction through closing. You'll enjoy working with someone who has knowledge of Richmond homes and can offer you this knowledge every step of the way! 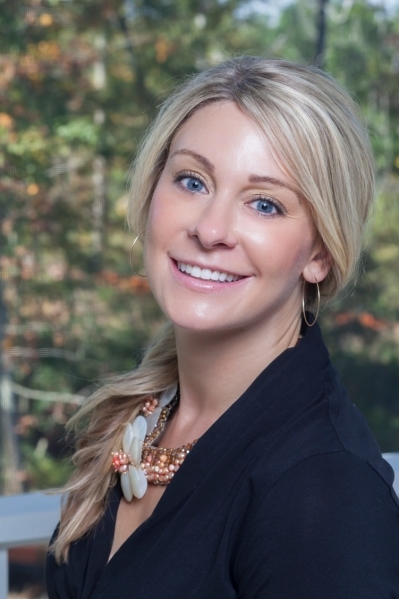 Once she relocated back to Richmond after college Erin immersed herself as a busy, professional. She quickly began to acquire real estate investments. During that time she developed a passion for buying and selling homes. Erin has always been involved with the community and selfless with her time. Her desire to help others is more than something she discusses, whether it is working with local charities or completing marathons, Erin is incredibly tenacious and task oriented. Once Erin decided to become a REALTOR she immediately was overjoyed in the marriage of everything she loves, helping others & her passion for buying and selling homes. Her ultimate goal is to simplify the real estate transaction process; Erin wants her clients to have an enjoyable, smooth and stress free experience. Erin believes in close personal attention. She is a constant communicator so you will never feel alone whether you are in the beginning stages of the search for your new home or during your closing transaction. You will never reach an ssistant when you call Erin, irregardless of her schedule. When you have questions or concerns, you will always speak with Erin directly. Either emailing or calling you, Erin will always be available and by your side. When speaking to Erin's friends they might say that she works too much but most would say that she just can't sit still. As you will soon learn when working with Erin, she is never far from her other love, her shih tzu puppy, Marbles; running a marathon, snow skiing or snowboarding down a mountain, waterskiing or jet skiing on the Chesapeake Bay. If you are looking for an agent that is energetic and knowledgeable of the Richmond real estate market, call Erin today! Erin not only views Richmond as her home but considers every client a neighbor; we hope that someday that neighbor is YOU! Please bookmark this site for future use, and ENJOY! •Erin gives close personal attention and does exactly what she says she is going to do! Make Hallsley's Premier Acre Lot Section, The Woodlands, Your New Homesite! Along With Being Voted Community of the Year in 2015, 2016, 2017, and 2018, Hallsley's Resort-Style Amenities Are Unmatched...Hallsley Offers a Clubhouse with Outdoor Entertaining Cabana Bar, Pool (Waterslide, Beach-like Zero Entry, Waterspouts, Lap Lanes, and Adult Area), Over 6 Miles of Biking/Walking/Nature Trails and 14 Bridges, Zipline, Central Park Dog Park, Beaver Pond, Playhouse Village, Tennis and Volleyball Courts, The List Goes On! There Are Also Year-Round Activities For Both Adults and Children, so You'll Never Want To Leave This Breaktaking Community! See It For Yourself!